Since 2005 Officine Panerai has sponsored the Panerai Classic Yachts Challenge, which has now become the most important international regatta circuit for classic and vintage sailboats. The calendar now comprises 10 of the most prestigious regattas in the sailing capitals of the world. 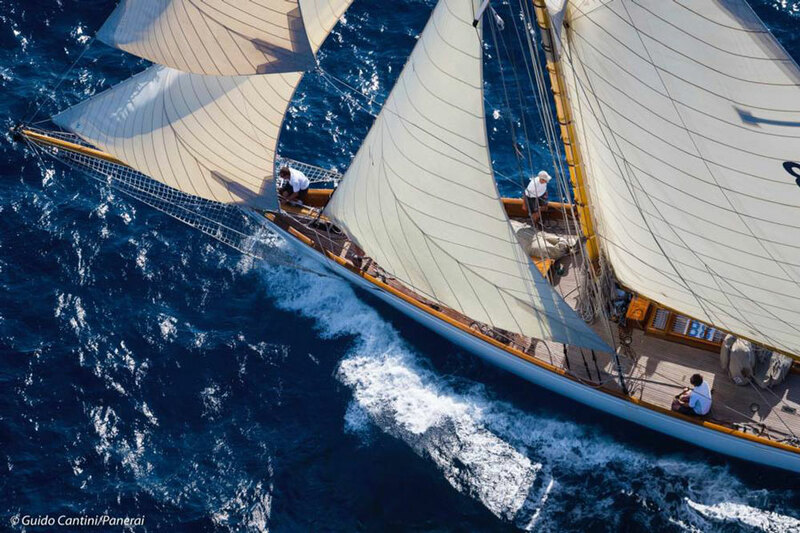 The season just kicked off the with the Antigua Classic Yacht Regatta and will land next in Antibes in the French Riviera from May 31–June 4. The Luminor 1950 PCYC is out with a vintage look, but still works flawlessly for the those on the water. 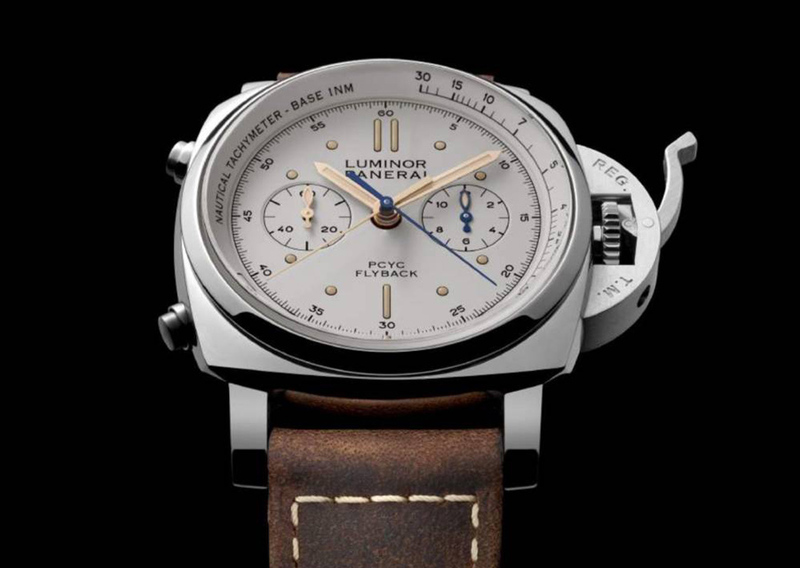 Of course, Panerai is celebrating the new season of sail-powered competition with three new limited edition watches: two Luminor 1950 PCYC 3 Days Chrono Flyback Automatics (PAM00653 and PAM00654) in stainless steel and a Luminor 1950 Regatta PCYC 3 Days Chrono Flyback Automatic Titanio (PAM00652) in titanium. These will mark the start of a new series of PCYC watches for the brand. The 1950 denotes a historical reference for the watch, dating back to the early days of the Luminor, and a vintage style dial similar to the Panerai Luminor GMT. The handsome chronographs designed for timing the starts of yacht races have the legend PCYC FLYBACK on the dial. 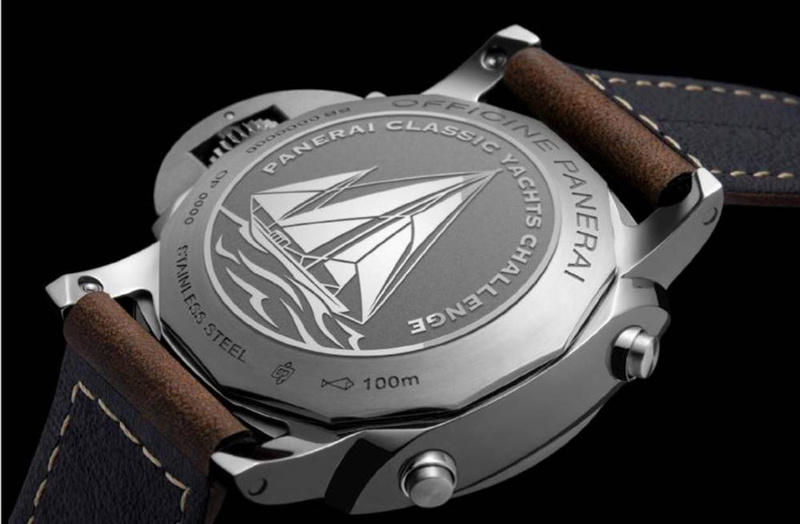 The back of the case reveals the real distinction of the special edition models, however, with an engraving of a classic yacht and the inscription Panerai Classic Yachts Challenge. A white variant of the Luminor 1950 PCYC. The two 44mm flyback chronographs (PAM00653 and PAM00654) sport Panerai’s Manufacture P.9100 automatic caliber. The flyback function means the user can press a pusher to instantly zero the chronograph hands and immediately restart them (making them “fly back”). 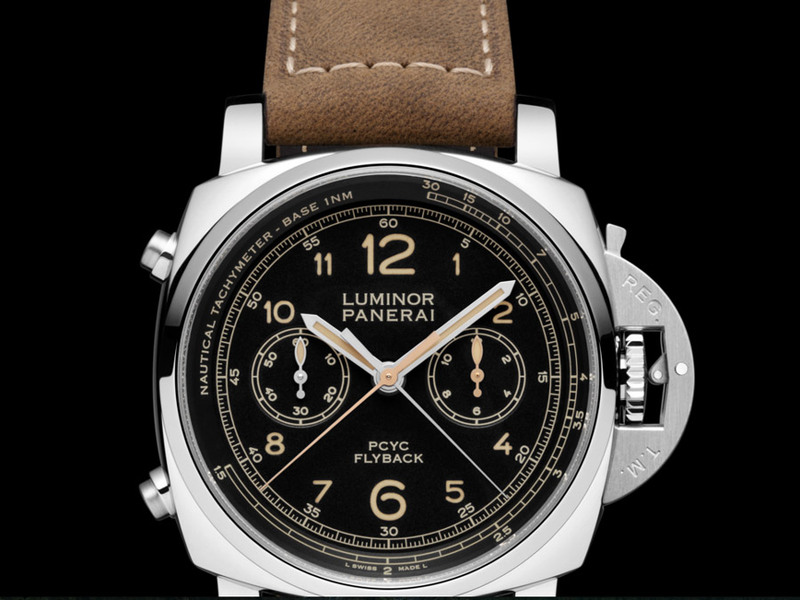 The PAM00652, priced at $17,200 and sized at 47mm is the real gem here. The larger size bucks the trend of scaled-down sports watches and will certainly appeal to a much smaller customer base, but Panerai enthusiasts hold the 47mm models in high esteem, and Panerai did start the oversized watch trend after all. From August to September, the PCYC races occupy the waters of New England, with regattas in Marblehead, Newport and Nantucket. Who’s ready to win the watch?